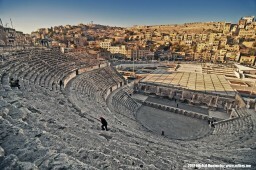 Please see my Middle East, Assorted photos. Even more photos! Please see my Cool Britannia shots. 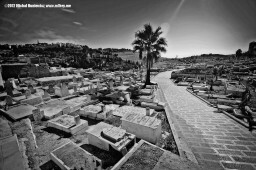 Hi, I just uploaded the second batch of my pictures from Jerusalem - different pictures and in black and white. Please check them out! Hi, I just uploaded my pictures from Jerusalem. Please check them out! Previously I showed you how to add to your Scala + Guice project JPA 2 implemented by EclipseLink. In this article I will show you how to integration test it using the specs library. Below are the relevant part of your build.gradle file. We specified a new task called integrationTest which will run our integration tests. It will run during gradle build as well. gradle test alone will NOT run them. This is the test declaration. It allows us to run the test as a JUnit test from the IDE. Notice that file name ends with ...IT.scala. This is how we differentiate integration tests. This will run before the test (just once). This is a test. Notice the BDD style. The assertion is this line: repository.getLatestLibrary() mustBe None. doFirst and doLast allow us to prepare the test and clean up. setSequential allows us to keep variables (olderLibrary, anotherOlderLibrary, newerLibrary) in scope for all tests. You can see the whole source for this file here. gradle build will NOT run tests that have already run since the last code change! If you want them to run again, use gradle clean build. Source code for this article can be obtained via GitHub. Please see the README file for building and running. Previously I showed you how to create a Singleton in Guice powered Scala project. In this article I will show you how you can (JPA 2) EclipseLink support. This sample app is a console app, so we have to handle entity management ourselves. mavenRepo name: "EclipseLink", url: "http://download.eclipse.org/rt/eclipselink/maven.repo/"
We needed to explicitly add EclipseLink specific repository. I did not present any entities here because in my app they come from another Java powered project. In the next article I will show you how to integration test this code. In the previous part of this tutorial I explained how to use Guice in your Gradle + Scala project. In this short post I will build up on that and show you how to create a singleton scoped instance, as the default scope in Grails is new every time requested. In Part 4 I will show you how to connect to a MySQL database using JPA 2 implemented by EclipseLink. Source code for this article can be obtained via GitHub. In Part 1 of this tutorial I showed you how to create a Gradle based Scala project. Now I will show you how to use Guice. Note package level private access - the implementation is not visible from the outside. If you're new to Guice and you're confused, you can read more about it here. In Part 3 I will show you how to create a singleton.